Five Ways To Keep Your Home Warm For Less | Thornton Heating Service, Inc. If you feel a shiver down your spine every time you wake up in the morning even after setting the thermostat before bed, it is more than likely that your house may be too cold. Why is the temperature inside dropping even when your heating system is turned up? Your residence likely needs a little help fighting another Chicago winter. Energy prices are falling slightly today but an average family still pays more than $1000 in a year on electricity, and monthly amounts can easily fluctuate. Thankfully, there are a few ways to keep your home warm without paying too much. Here are five simple things you can do that may help your heating system keep you warm. There are many ways to prevent the loss of heat. Quick-seal windows can help stop air leaks and they are an effective insulator. If you have extra bedrooms or other rooms that you don’t usually go into, turn the radiators off in those rooms and shut the doors. Not only will you save money for the electricity but it will keep you warm for the night. If you have a chimney and normally do not use it, you should consider buying a chimney balloon. If you don’t know what a chimney balloon is, it is placed inside the chimney hole, just out of sight. It is then inflated until it completely takes out all incoming cold air or escaping heat. And they are very cheap and easy to find at many local stores. Exposed windows can lose a lot of heat at night. So blocking them with curtains can help create an additional buffer in between the outside air and your warm air. In the morning, open the curtain so that the sunlight can pass through. Windows let radiant energy come in more than it gets out in broad daylight. It is better to get thicker curtains so that it can cover the cold air at night more effectively during the winter. The best way to prevent heat loss is to close your curtains immediately after dusk so that it can provide an additional shield to radiant heat loss and can reduce draughts. Adding thick cloth or curtains can help keep your house warm. If you have an old rug or an old thick blanket, you can use them to pin on the exterior walls. This may not do much, but it can do a little to help prevent cold air from coming through. A professional home insulation project can be really expensive. But DIY loft insulation is quite cheap and relatively simple. This will help keep enough heat in your house to make a real difference. Make sure that you understand what you’re doing though. If not, ask for professional help. Installing insulation if your home does not much currently can make a big difference with your energy bills. It is all about the timing within a day. If you have a thermostat, it should be on a timer. It is a good way to ensure that you’re only heating the house when it is needed. You can easily install a digital thermostat yourself. Just follow the instructions provided and mount it on the wall if necessary. At night, you can turn off any air conditioning or electric fans to save bills and give extra heat to your house. In the morning you can open the curtains so that the heat can pass into your house, and adjust your thermostat so that your heating system is working less. While some of these tips may make a difference in keeping your residence warm for less this winter, your heating system needs to be serviced yearly to ensure it is working efficiently and even putting heat into your residence. Contact Thornton Heating Service for more advice and information about heating solutions. 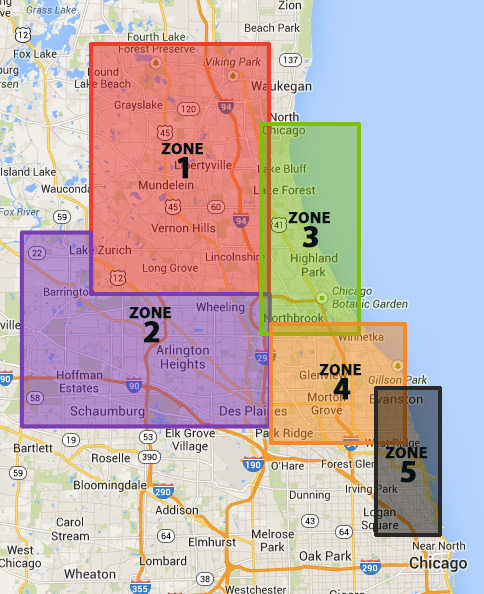 We proudly serve the Chicagoland area and can be reached 24/7 at 847-905-1608!